I have talked about what it's like for me to travel before (here - for my SMA Awareness Month Series), but that post focused on the amount of medical equipment that I have to take with me when I travel. I got back from a trip to DC earlier this week, so I want to talk about other, non-medical travel essentials - things that I make sure to take on every trip, but aren't related to me having SMA. I'm not going to write a full travel list, but I'm going to talk about the things that are necessary but sometimes forgotten! There's actually a story about this one. On a trip to New York a few years ago, I put in what I thought were my contacts, and thought they were old and looked blurry. So I took them out, threw them away, and put in the new pair I had brought. Well, the reason they looked blurry was that they weren't mine - they were my sister's, and she didn't have an extra pair with her! Now, I double and triple check to make sure that I have another pair packed. I almost never wear my glasses, so it's hard for me to remember to pack them! But you never know what will happen, and I definitely don't want to be basically blind while I'm on a trip. I have an iPhone, an iPad, and the Apple EarPods, and they all use the same (easily broken) cord to charge. It never hurts to bring a few extra chargers to make sure that all of your devices are fully operational. Hotel room thermostats can be really finicky - it's either freezing, or way too hot and stuffy. The sweatshirt or sweater is a must for the hotel room, to throw on over your pajamas in the room, or while running to the lobby for coffee. And I just love having my own blanket to sleep with! Depending on the hotel, there's a good chance I don't want to use the comforter from the room, and sometimes I need something more than a sheet. I'm not one that gets a headache often, but weather and temperature changes, plus the really dry hotel air, can really do a number on you! Being prepared can save you from a 10 p.m. run to CVS when there are other things you'd rather be doing. 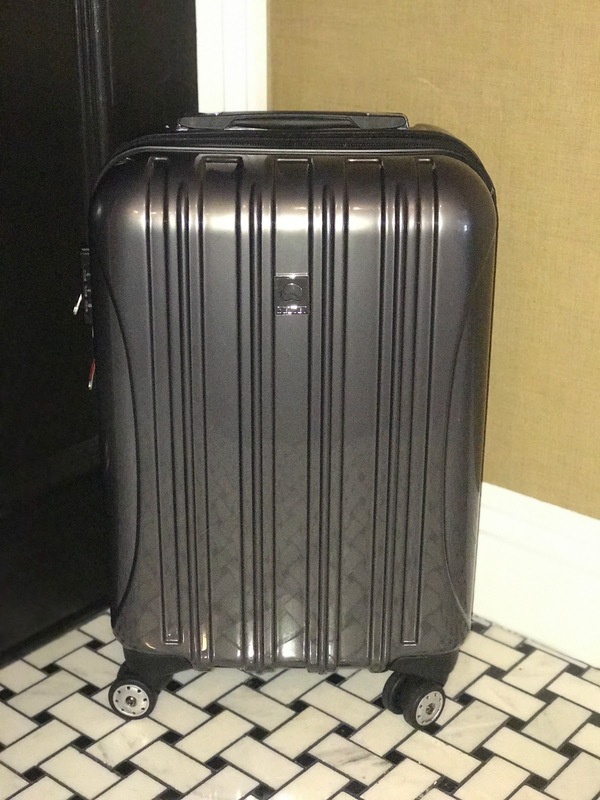 I'm always trying to be a better packer - let me know what your must-haves are when traveling!